Don’t forget to register! 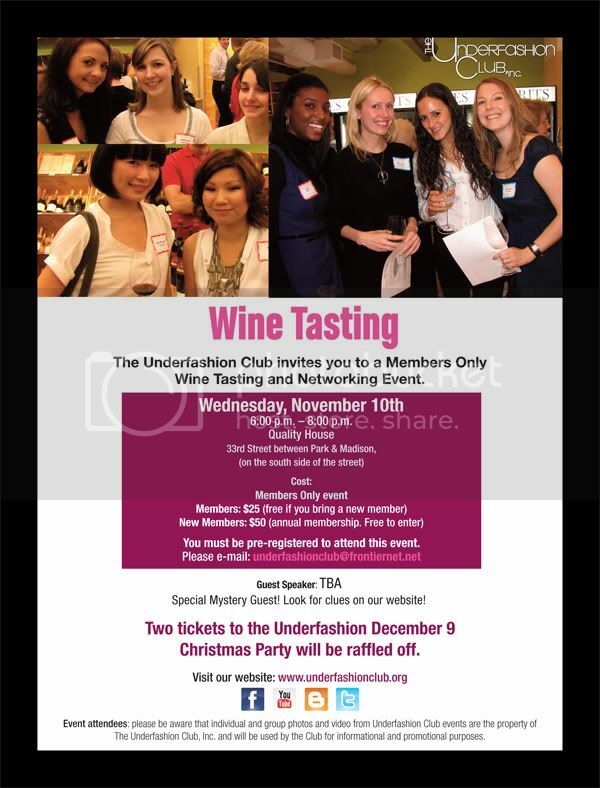 Wine Tasting Event – November 10th at Quality House! Don’t forget to register for…..
You must be Pre-Registered to attend this event! Email Underfashionclub@frontiernet.net to make your reservation!